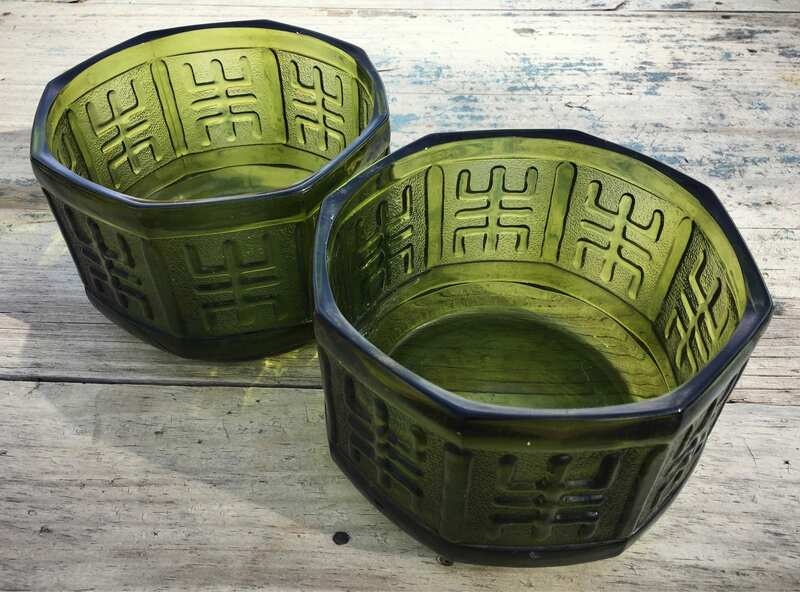 Here we have two heavy green glass flower pots or planters, made of pressed glass in the style of Depression Glass. 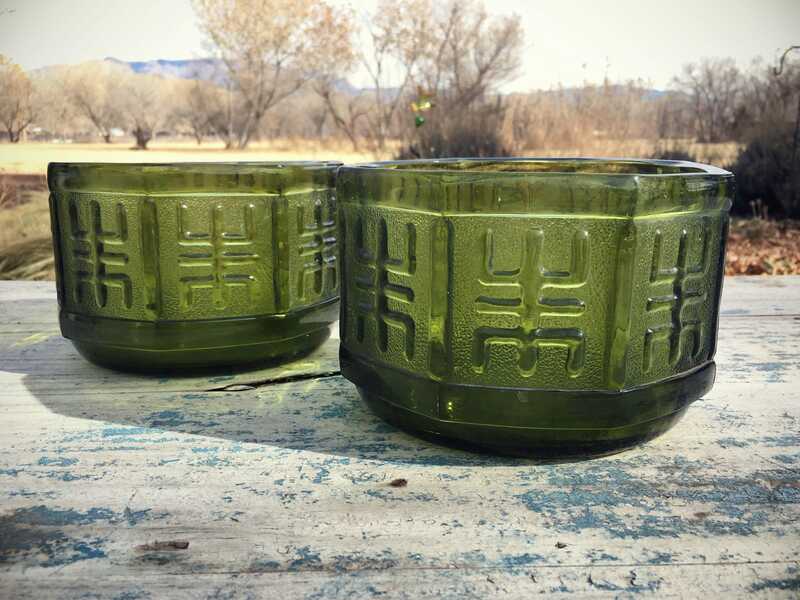 The pair came from the estate of a woman with a large greenhouse, and the thinking was that these two were used for holding potted succulents. 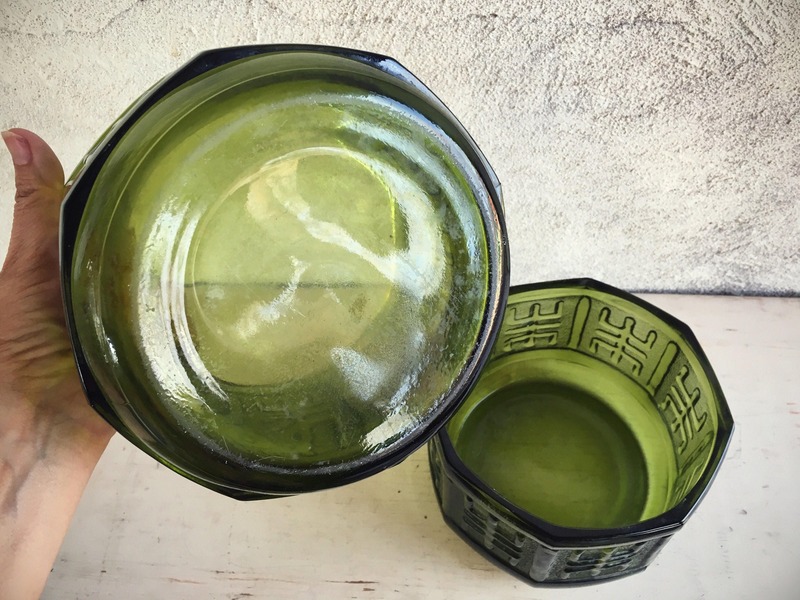 The interior has some hard water staining, which has been mostly cleaned out, but do be aware that they are not brand new and there is some residue. 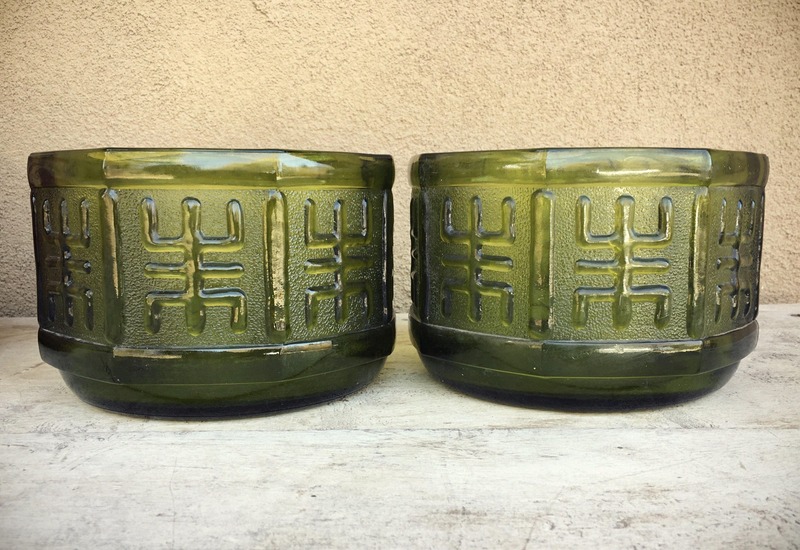 Each planter is eight-sided and on each side is embossed what looks like a Kanji symbol. 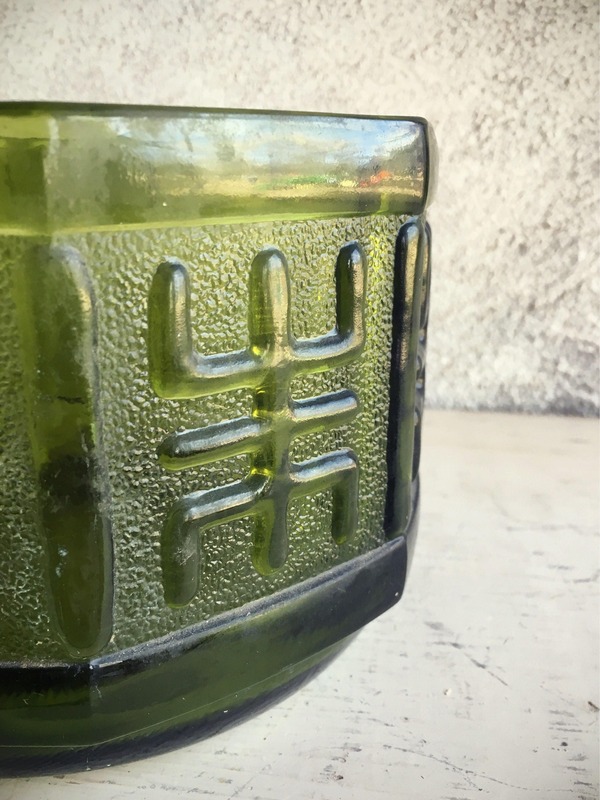 In the few of these I have found online, those symbols are described as Aztec, and it could be the symbol is meant to be tribal, but I see it more as part of the Chinoiserie trend of the mid century. 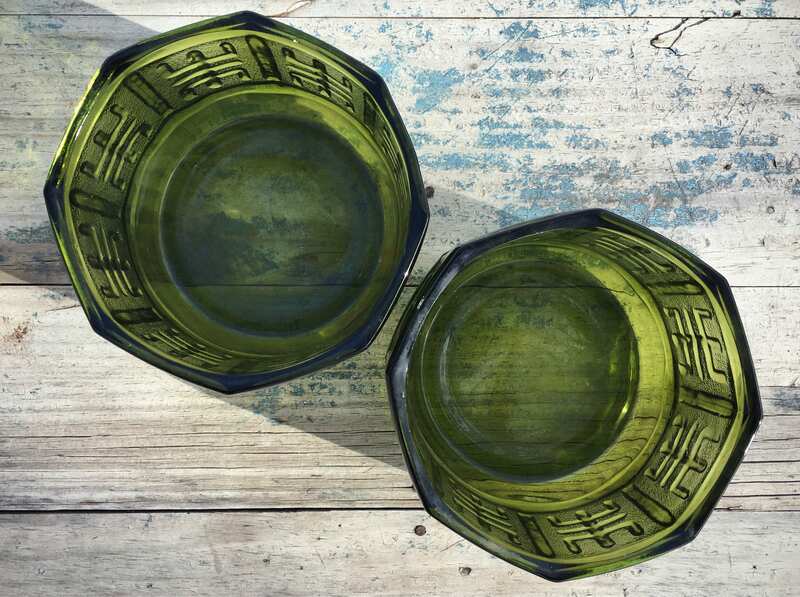 The color of green--a sort of dark olivey color or perhaps a lighter avocado skin color--is also consistent with that era. 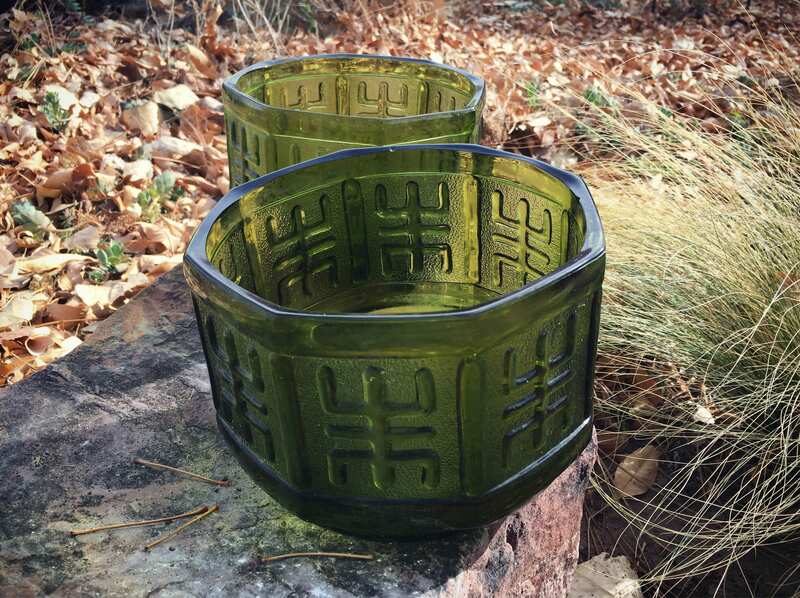 Each planter stands about 4-1/2" tall and the opening 6-5/8" in diameter. 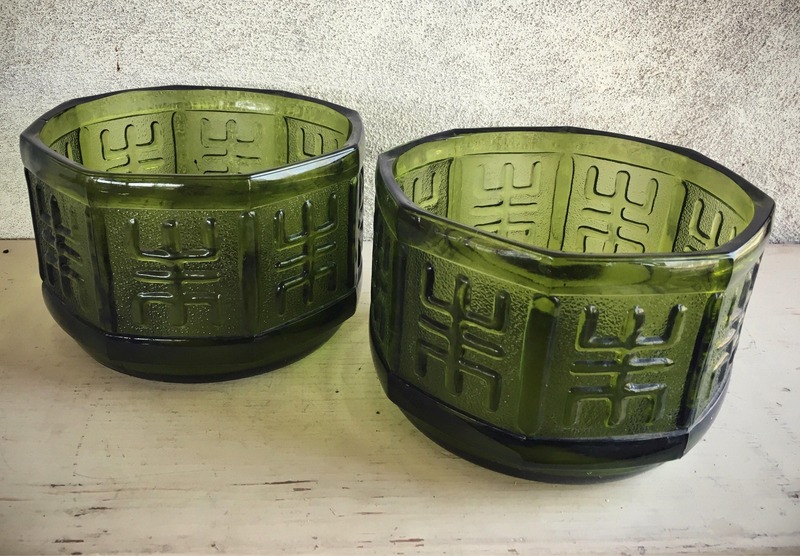 Each planter weighs about 3 pounds unpacked. 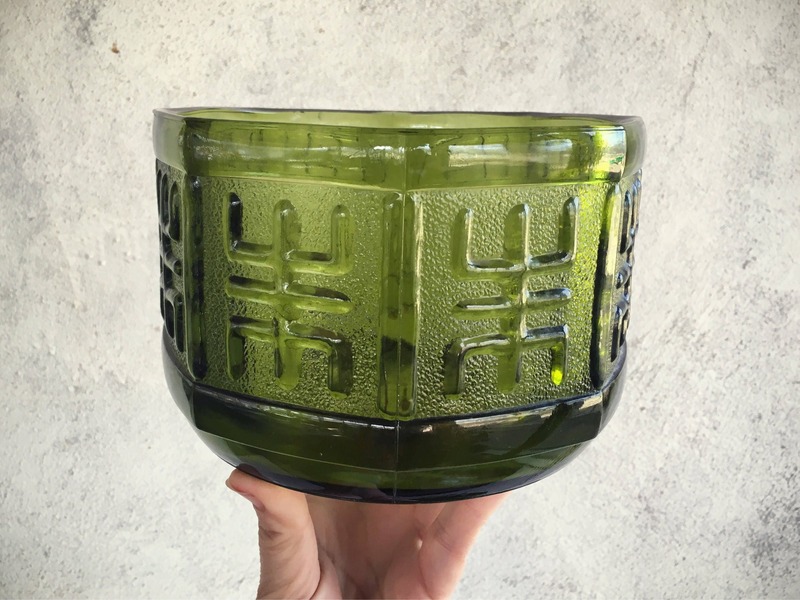 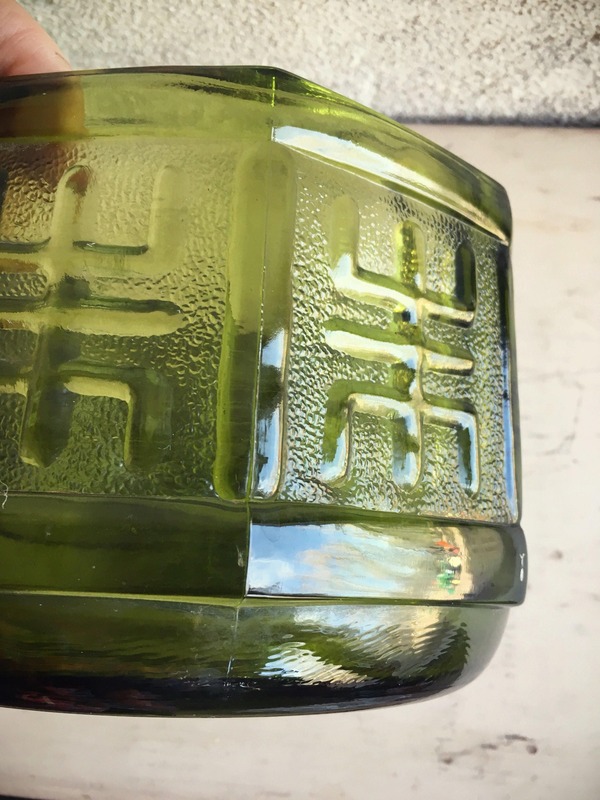 Wonderful green glass for your sunroom, greenhouse, or any room where you crave this most refreshing of colors.